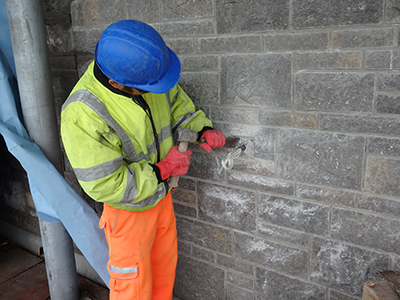 Celtic Heritage Ltd offers a wide variety of environmental products and solutions to blend in with the demands of today’s challenging and diverse landscapes. 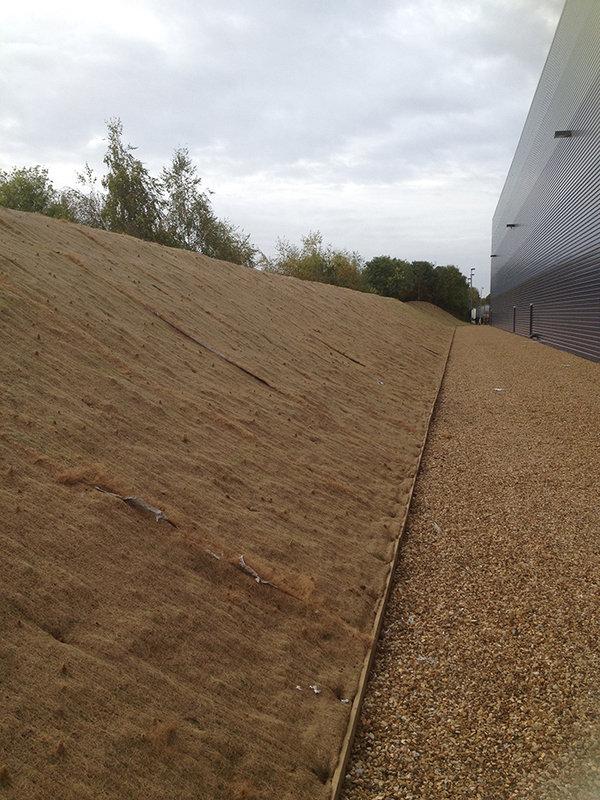 We can provide high flow protection geosynthetics plus a full variety of biodegradable products to suit all projects. In addition a comprehensive range of seed offerings are available to suit both you and your locations demands. GeoJute is our lightweight but effective biodegradable net system that is used for the prevention of soil erosion. 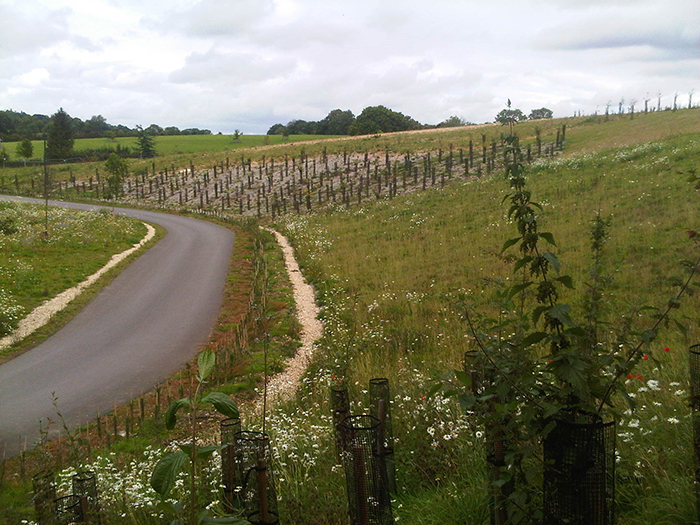 It has been specified over decades to provide an economical protection to freshly cut or exposed slopes. Installed it offers a high degree of soil retention, before biodegrading completely to add to the organic content of the soil after sufficient time has passed for natural vegetation to establish and protect the soil from future erosion. The Covamat range improves poor soil conditions due to the incorporation of a specifically developed organic fertiliser and dry micro-organisms. The system offers a combination of seed, fertiliser, dry micro-organism and can include top soil in one product to provide the best guarantee of germination to the slopes of each given application. Once installed and irrigated, the dehydrated and granulated fertiliser etc begin a slow nutrient release process to support the germination of incorporated seed to commence the growth. Again a major advantage and benefit of Covamat is that we can incorporate any seed mix into our mats to accommodate any soil type, vegetation or wild flower requirement. EROMATS offers a solution for slope and embankment stabilisation in various versions of fibre combinations for short-medium-long-term degradation. Various supporting nets incorporated to meet specific tensile strength requirements. These mats require under seeding for fast vegetation establishment. Mats are manufactured approximately 7mm thick of quilted straw/ hay and/ or coir fibre of a very high quality, for separate seeding or planting giving the best possible results in erosion control. GEOWEB is a readily available system of three dimensional confinement cells that provide a long-term vegetated sustainability, providing reinforcement of the upper soil layer and resistance to erosive conditions and potential sliding forces. The GEOWEB® system offers long-term protection of embankments of all types in a variety of formats. Covamat+ is one of our used products that have been specifically developed to address erosion control on freshly soiled slopes and new cuttings. The products range from a 10-15mm thickness and consist of varying components related to each specific project requirement. Utilising straw/ hay and / or coir we are able to provide solutions for short, medium and long term degradation and protection. The product improves poor soil conditions due to the incorporation of a specifically developed organic fertiliser and dry micro-organisms. A major advantage and benefit of both Covamat+ & Covamat Fresh is that we can incorporate any seed mix into our mats to accommodate any soil type, vegetation or wild flower requirement. This combination of seed, fertiliser and dry micro-organism in one product provides the best guarantee of germination to the slopes of each given application. Once installed and irrigated, the dehydrated and granulated fertiliser etc begin a slow nutrient release process to support the germination of incorporated seed to commence the growth. Covamat Fresh is another of our established products that have been specifically developed to address erosion control on poor soil slopes and embankments. The products are similar to the Covamat+ range in that they are supplied from 10-15mm thick and consist of varying components related to each specific project requirement. Utilising straw/ hay and / or coir along with a 5mm layer of top soil we are able to provide solutions for short, medium and long term degradation and protection. The Covamat fresh product improves germination of seeds over really poor soil conditions by utilising the incorporation of a specifically developed organic fertiliser and dry micro-organism and a layer of top soil sandwiched into the material. This combination of seed, fertiliser, dry micro-organism and soil in one product provides the best guarantee of increased germination to the slopes of a poor soil. Once installed and irrigated, the dehydrated and granulated fertiliser etc begins a slow nutrient release process to the soil and supports the germination of incorporated seed and soil to commence growth.